This entry was posted in Baltimore Orioles, Baseball, Yoga and tagged Boston Red Sox, Free Agents, Mookie Betts, Nick Markakis by Jackie, The Baseball Bloggess. Bookmark the permalink. Take comfort in the fact that the Sox over payed for both players and will probably be desperate to dump both contracts in a couple of years. Well, the Orioles had a few fun months with Andrew Miller, when the Sox cleaned house last season. Maybe we’ll get some cast-offs next season, too. The BoSox still need someone to throw the ball. Hang in there. As one of my friends, a lifelong Dodgers fan and very knoweldgeagble baseball fan, told me today, if anyone wanted to mess things up, sign Ramirez. He’ll find a way to lose games, mostly by dogging it or creating unnecessary problems. He must be right, because I agree with him. I would not want that player on the Bay Area teams. No thanks. As for Sandoval, what are you going to do? Nobody will like him as much as Giants fans did. But that’s not what this is all about. I’m really sad about everything I’m reading about Sandoval. That the Giants went to $95MM/5 years and invited Panda to come back to the table … suggesting that $100MM/5 was not out of the question. So that he signed for $98MM/5 with the Red Sox, without allowing the Giants one final offer, is sad. I guess he figures that he is heir-apparent to Ortiz … the DH job must look mighty sweet to him. 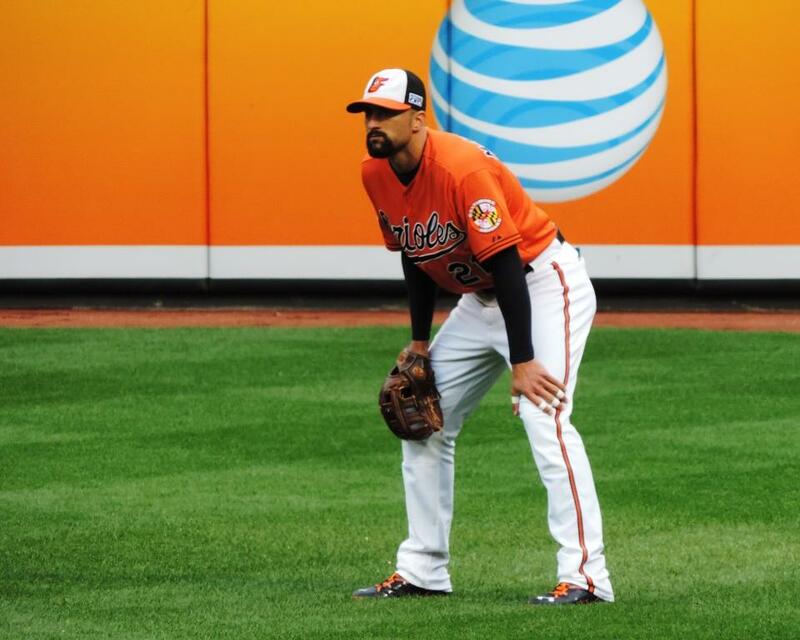 On the plus side, I’ll get to see more of him in the AL East … won’t be cheering though! Yes, I saw you were in Baltimore, we could have met at the game! :) Even though we live 3 hours away from Baltimore and the Nationals are actually an hour closer to us (and the Giant’s AA team the Richmond Flying Squirrels are two hours closer) … Birdland is my baseball “home”. verdun2 is right; the Red Sox may be saying goodbye to their ace, Lester. “Why, Panda, why?” Money talks, lesser compensation runs the marathon is the free agent market. Pablo won three World Series titles with the Giants, so if you attend a Red Sox game at Camden Yard, I expect you to merely cover your face with your program when he bats. You may boo the rest of the Sox. Popi and Panda, I like the way that rolls out. Happy tofurkey day! Kevin Gausman is going to own Panda. I’m looking forward to that. There was something more than $$ at play with Sandoval. The Red Sox went $98MM/5 years while the Giants were clear that they could go to $100MM/5. I think that Panda likes the idea of being DH some day. I’d never boo Pablo Sandoval … but, no more cheers from me. 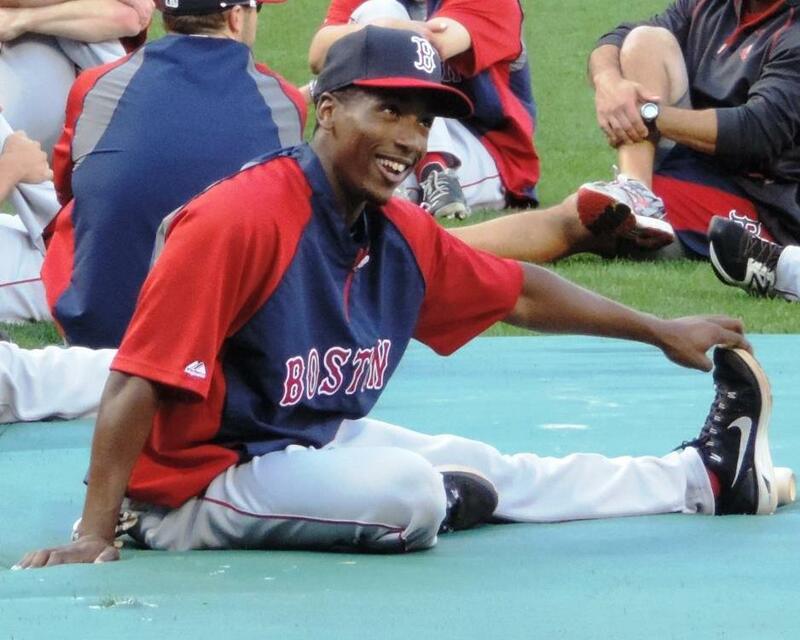 Oh, in case you were wondering … David Ortiz appears to be exempt from pre-game Yoga practice. Because you know I would have gotten a photo of that! Tofurkey is thawing. And, snow is coming. Hope Thanksgiving is good in your world too! I’m into communism; not the corrupt kind, but the sharing pizza and medical care for all, but if the Red Sox or Yankees or Dodgers lose their money and stop spending it on whoever is available, baseball might lose darth vader and star wars without darth vader would be kind of not star wars or really boring in my opinion. I agree with you … because the Orioles always seem to do better with home-grown talent. Free Agency for the Orioles is really a late January saunter down the “Scratch and Dent” aisle. Sometimes we get lucky (Nelson Cruz), sometimes the dents can’t be polished out (Ubaldo Jimenz) (although, I’m not giving up hope … because we spent a lot for his scratches and dents). Baseball yoga. Very nice, as they say. Still a Red Sox fan. They will rise again. Someday. So will the Orioles. Maybe. I just like the hats. And the green wall. Smooches to your cat.